Kids can roll, cut, press, and mold their way back to school, identifying their ABCs and 123s as they play. Then they can kick it up a notch, creating simple words and number combinations. With 35 colorful number and letter molds, the possibilities for creative learning are endless! 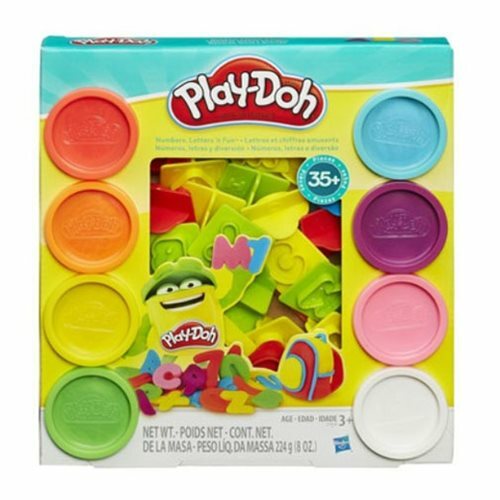 The Numbers, Letters 'n Fun Set includes a plastic knife, 26 letter molds, 9 number molds, and 8 one-ounce cans of Play-Doh compound.